Everyone should have one centralized person who always knows what’s going on with your health. That’s the role of your primary care physician. 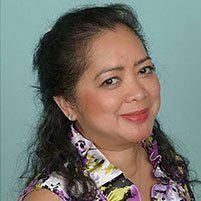 Make Dr. Maria Trimor-Tamoria in National City, California, your go-to person for all your health concerns. Dr. Trimor-Tamoria is currently accepting new patients at her centrally-located office. Call today to schedule your appointment for a routine check-up, or any condition that needs medical attention. If I need a specialist, do I really have to go to my primary care doctor? Yes, most insurances require you to see a primary care doctor first so that you can be directed to the right specialist based on your medical needs. This also includes referral for preventative exams, depending on your age, such as Colon cancer screening, which requires a gastroenterology referral. Should I have an annual physical? Yes. Even if you’re generally healthy and have no current complaints, coming in for annual visits with your primary care doctor allows her to keep track of your health. Dr. Trimor-Tamoria can compare this year’s blood work, to last year’s results, to see if there are changes that need more attention, or if a red flag pops up. Plus this is your one-on-one time with her to go over any health questions or concerns you have. You can build a long-lasting relationship with Dr. Trimor-Tamoria and enjoy a long, and healthy life. What should I expect during a routine physical exam? Come to your annual physicals prepared. The more information you come with, the smoother things will go. Bring in your medications — even the over-the-counter supplements you take — or make a list of medications and dosages. Write down all of your concerns that you want to talk about, in addition to your family medical history. This information can help Dr. Trimor-Tamoria tailor lab work to your specific needs. After sitting and talking with her, she will make recommendations for your health on what labs or diagnostic tests to order based on her findings.